I figured some of us here are probably fairly avid fiction readers, so why not have a thread to share what we are reading, have just read, or really want to read? But turned out to be a loose generic sci-fi plot about evil corporation creating a android, android realizes company is evil, destroys company. Mix in some lesbian leanings. Guess I was some what disappointed, though not that much. I didn't exactly know what the book was when I found it, had no real expectations, so I didn't have far to fall. 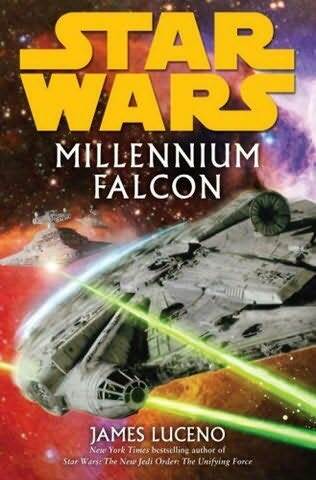 Im reading Indiana jones and the unicorns legacy and millennium falcon. 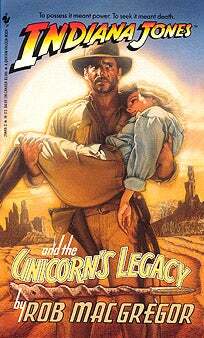 This is the 5th time i've read this particular indiana jones, its a really good book. 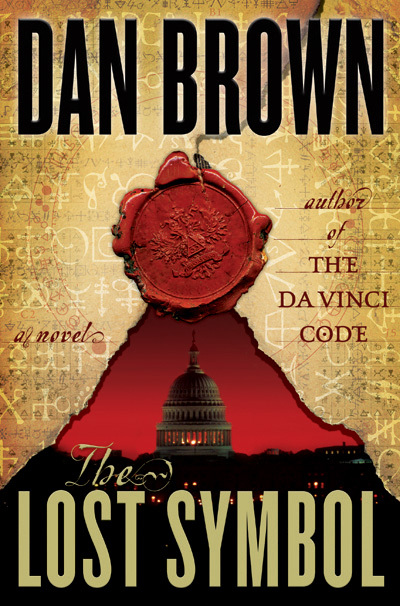 I'm currently reading through the latest Dan Brown novel, "The Lost Symbol". I'm enjoying it quite a bit. I've got a pretty full plate at the moment. I'm reading these and soon will be picking up about 4-5 more textbooks as class starts back up. No fiction to be found here. 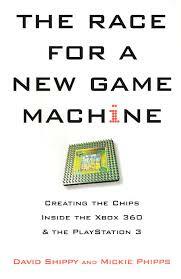 "The race for the new game machine"
This book is told from the point of view of one of the lead engineers who helped design the chips inside of the XBOX360 and the PS3. The book tells the story of how all that went down. I recommend for those tech junkies out there who are interested in the origins of the next gen consoles. About half way through this one. 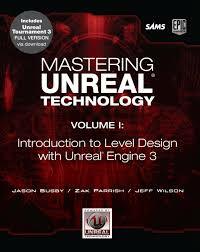 "Mastering Unreal Technology: Volume 1: Introduction to Level Design with Unreal Engine 3"
Reading this one for the project. Don't be fooled by the tiny picture, it's a massive book. I haven't put a dent in it yet. I'm still working on my modeling skills with Blender. "Blender 3D: Noob to Pro"
This one is an online free "wiki book" that I'm using to familiarize myself with Blender before purchasing a more advanced book. I've got another book I'm reading for the project on storyline writing and such but the title escapes me at the moment. Between reading books for the project and actually doing the project things are moving pretty slow. Oh come now Kevlar. There is a naked woman on the front cover and you are telling me you had no expectations? Garr Talon wrote: "Blender 3D: Noob to Pro"
Also reading that at the moment =P. 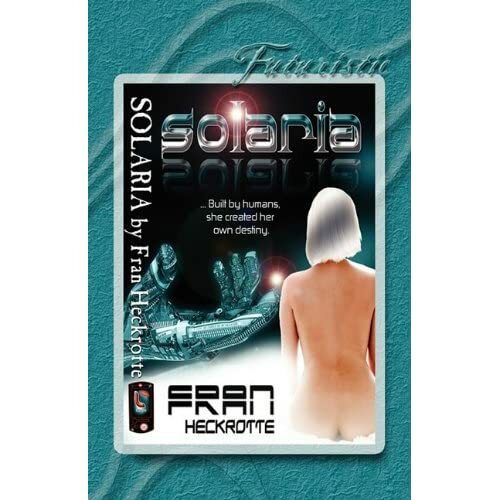 And as for the cover, I don't usually judge books by their cover, cliche, but true, a lot of really good books have awful covers, especially older sci-fi novels. Just finished SW's Vector Prime, which I thoroughly enjoyed, and started Dark Tide 1. I'm telling you, all of you...you should read The Carpet Makers (see above post). Carlen Darko wrote: I'm telling you, all of you...you should read The Carpet Makers (see above post). Can you give a brief synopsis? What's it about? I'm reading an owner's manual for a new car I just bought. It's much more engaging than New Moon was. Just finished Carrie Vaughn's - Kitty's House of Horrors. Pretty decent, as expected, a bit different and darker then the series usually is. Carrie Vaughn manages to pull it off though. I love the discworld series and would recommend it to anyone, although this would definitely not be the book to start on. I just finished the Imperial Commando novel 501st. by Karen Traviss. I enjoyed this series of books, this being the 4th in a series. It gave the perspective of the clone wars thru the eyes of the clones and their Mando trainers. A good read. This series gives you a new perspective on the Jedi, and the Republic. You get to see the hyprocracy of the Jedi, the curruption of the Republic, and the manuvering of Palpatene to use the war to get in power. One warning though, after reading these you want to become a Jedi hunter. And the Republic doesn't smell too good when your done reading eather. Kevlar wrote: Just finished Carrie Vaughn's - Kitty's House of Horrors. hah, yeah, thats true for about 90% of the novels that I read. I dislike reading and following a male character, though if the story and plot is good enough, then I can make an exception. A really good book I read years ago was Weather War. Excellent plot, good imagination, good si-fi. It's about the governments being able to influence the weather. A reporter uncovers the truth and becomes the target of some powerful enemies. Reminds me of a recient Will Smith movie. One caution though, it should have been rated PG-13 or R in places. Awesome! I love Orson Scott Card and the Ender's Series. I will definitely check this book out. 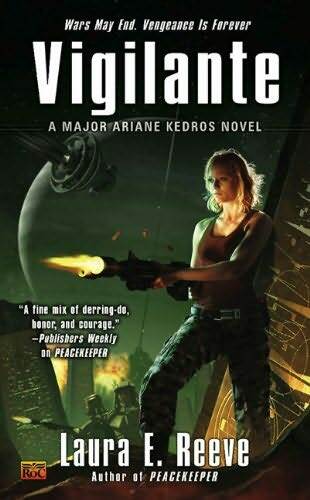 Just finished Vigilante by Laura E Reeve. Pretty decent, though the series isn't quite what I was expecting it to be. A relatively new author, liking her stuff so far. Kev, you seem to read alot of books - do you get them from your local library or buy them? I do love reading though. Jacan Na'al wrote: Kev, you seem to read alot of books - do you get them from your local library or buy them? On average, I read about 3~5 novels a week, though the majority of them will be re-reads. I own about 200 novels overall, while the rest of my library is in ebook (.lit format and html.s) I think last count was about a couple hundred below three thousand ebooks. The majority of them are, ahem, borrowed =P All of the really good I've read. novels I've gone out and purchased physical copies to collect on my shelf. 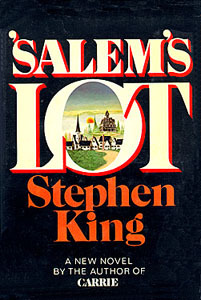 Im currently reading Salem's Lot by stephen King. I'm about 3/4 of the way done and find it to be very good, i have not seen the movie, nor do I no the ending so no one better tell me, you hear. I get 70% of all my books from the library, the rest are usually starwars or part of a series. Ah, Father Callahan from Salems Lot is refered to in Stephen Kings Dark Tower series, specifically book 5 (?) Wolves of the Calla - a weird and wonderful 7 book series which I never got around to finishing, 'Song of Susannah' is the next one I need to read but it has been years since I read the previous one. I am all most finished with the 4th book in that series I called think its the wizard and the hour glass. Its a good series.